MINISTER FOR the Environment John Gormley is involved in a judicial review of An Bord Pleanála’s decision to approve part of the Galway city outer bypass. The Department of the Environment has confirmed that the Attorney General will be handling the case on behalf of the Minister, who has become co-respondent in the proceedings issued by environmentalist Peter Sweetman against the State and An Bord Pleanála. The proceedings are due to be heard in the High Court Commercial Court on June 30th next. The case is one of two pending on the An Bord Pleanála decision to approve part of the €317 million road project. Environmental group Hands Across the Corrib Ltd, Ballinfoyle, Co Galway, claims that the November 28th, 2008, decision by An Bord Pleanála was based on a flawed environmental impact assessment. The group also argues an “efficient, intelligent, public transport system” is a “very real alternative” to the proposed bypass and would serve commuters better. The outer bypass was to have begun construction this year, with completion by 2012, and was identified as part of an “Atlantic road corridor” by former transport minister Martin Cullen. In its ruling last November, An Bord Pleanála turned down the western section of the bypass, citing “fundamental shortcomings” in this section’s design and layout, and the impact of such a development on Tonabrocky Bog’s slender cotton grass (Eriophorum gracile). The bog cotton is a legally protected and vulnerable plant species. The appeals board also cited a failure to “fully evaluate” other routes in an area near housing at Pollkeen. Reacting to the “half bypass” approval, several local councillors called for priority to be given to other transport solutions, including a proposed light rail system backed by business interests, known as Gluas. However, business interests called on the National Roads Authority late last year to expedite work on the approved section and identify an alternative to the disallowed section west of the city. The business and tourism transport grouping representing Galway Chamber of Commerce, American Chambers Western Branch, the Irish Hotels Federation, Irish Business and Employers’ Confederation (Ibec) West region, and the Information Technology Association Galway did welcome An Bord Pleanála’s approval of a new bridge over the river Corrib as part of the approved section. TWO MINISTERS face harsh criticism of the Government’s position on the Corrib gas project and the actions of Shell security staff when both attend a public meeting tonight in north Mayo. Minister for Energy Eamon Ryan and Minister for Community, Rural and Gaeltacht Affairs Éamon Ó Cuív have accepted an invitation from four Mayo groups to address the local Erris community at the “open meeting” in Inver community hall. The ministerial appearance takes place in the context of a deteriorating situation in north Mayo, following last week’s events at the Glengad landfall site for the Corrib gas pipeline. A Fianna Fáil councillor in Erris has this week called on Shell to “be magnanimous” and move part of its refinery operation. Rossport farmer Willie Corduff was hospitalised in Castlebar overnight last week after an alleged assault by Shell security staff assigned to Glengad. His brother-in-law was injured. Gardaí are investigating an incursion on the same night by “armed” and “masked” men. No group has as yet claimed responsibility for the alleged incursion, and no arrests were made at the time. Gardaí say Shell security staff were “intimidated”, one security guard was injured, and equipment was damaged. Mr Corduff claims that Shell contractors had no authorisation for “ancillary work” at the landfall,including erection of fencing. An Taisce has issued a complaint to Mayo County Council, claiming that ancillary works at Glengad are not exempted development as the council claims. Four groups: Pobal Chill Chomáin, Pobal Le Chéile, Rossport Solidarity Camp and Shell To Sea (Mayo) have welcomed a decision by the two Ministers to address them. “The request for a meeting was extended by our groups as a result of recent serious and sinister developments in our community,” the four groups said in a joint statement. Shell EP Ireland has not responded to queries on the alleged incidents or the criticism by the community. Fianna Fáil councillor Tim Quinn, has called on Shell to make a gesture and clean the Corrib gas at an onshore site, possibly Glinsk, before piping it past houses to the inshore refinery at Bellanaboy. The Belmullet councillor said he cannot see any solution to the controversy at present. Last year three local priests proposed Glinsk as an alternative and acceptable site for the refinery. The proposal was rejected by Shell. RIAI DIRECTOR John Graby had a right good go at the planners when he addressed the National Housing Conference in Sligo this week. Instead of the “streamlined” approach promised 10 years ago, he said architects still experienced the system as something of a nightmare. Take pre-planning discussions: “Ring on Thursdays between 10am and 11am”, one architect was told. Or “the planning officer you met has left and there is no record of the meeting”, or “Christmas Eve at midnight on the summit of Croagh Patrick”. Graby, dubbed “Cardinal Mazarin” by RIAI president Seán O Laoire, complained that each of the country’s 88 local authorities has its own planning application form, all different, when there should be a standardised form, “Michael O’Leary-style”. One applicant who had dowloaded a form from a local authority’s website had his planning application invalidated for using the wrong form. “Ah, well, we have changed the form but it’s not on the web yet”, an official told him. All of this resulted in “massive transactional costs” and delays, Graby said, adding that even after a planning application had been “validated” it was often followed up with a further information request. Under the heading “planning creep”, he said many local authorities went way beyond what the Planning Act required in an application, demanding letters of consent from adjoining owners, stormwater audits, daylight and shadow analyses and waste management plans. EMISSIONS FROM a hazardous waste incinerator planned for Ringaskiddy in Cork harbour will be in compliance with the ambient air quality standards set down in law, an expert witness on behalf of the developers of the incinerator has told the public hearing. Air quality consultant Dr Edward Porter told the hearing he had used two models to examine the quality of air emissions from the proposed incinerator. Both confirmed that emissions would be within existing ambient air quality standards. Making a submission on behalf of Indaver Ireland, Dr Porter said he had obtained meteorological data from Cork airport from 2003- 2007 to feed into his two models. He said the Ringaskiddy facility would have two main emission points or flues within the one 85 metre stack, with one flue taking emissions from the grate incinerator, the other taking emissions from a post-combustion chamber. In a detailed submission, Dr Porter said the results showed that sulphur dioxide, carbon monoxide and total dust emissions under maximum conditions ranged from 10 per cent to 33 per cent of the ambient air quality standards at the nearest test receptor point. Dr Porter added that the proposed facility would not have any impact on climate change, in line with incinerators generally. Safety expert Thomas Cleary, for Indaver, said Ringaskiddy was classified as a Seveso site – which covers a European directive on control of major accidents involving dangerous substances – because of the various wastes likely to be handled there, including aqueous wastes, waste solvents, flammable materials and harmful solid wastes. He said the waste tanks would be relatively small with the largest being just 400 cubic metres. The main solvent tanks would be at the southern side of the site and shielded from the Ringaskiddy Road by the incinerator plant itself. Mr Cleary acknowledged there had been explosions and fires at incinerators which resulted in fatalities, but such fatalities had been confined to those on the site. A HAZARDOUS waste incinerator planned for Ringaskiddy in Cork harbour could help clean up the waste legacy of contaminated materials left at the former Irish Steel plant on nearby Haulbowline Island, it was claimed yesterday. Indaver Ireland managing director John Ahern told the second day of the Bord Pleanála hearing into the proposed incinerator that the facility offered not just the opportunity to deal with the region’s growing municipal and industrial waste but also contaminated material from Haulbowline. “Haulbowline Island has contaminated soils and sludges . . . our facility offers a solution. With Indaver up and running in the area, this problem can be resolved – safely, efficiently and at an affordable cost thus ending what has been a prolonged hangover for the locality,” he said. Mr Ahern said that as Ireland’s waste mountain continued to grow, the disposal options for treating this waste were narrowing and Cork, like every region in Europe, must reduce its dependence on landfill or face millions of euro in punitive fines. Cork and Ireland need security of energy supplies and while many options are available, the most obvious is waste-to-energy which is far more beneficial economically than either burying waste in landfill or exporting it for treatment, he said. “For example, hazardous waste from the Cork region supplies the base load energy source for Hamburg’s extensive district heating system. This effectively subsidises hot water and heating for the residents and industries of Hamburg,” he said. Mr Ahern said that Indaver had over 20 years’ experience operating waste-to-energy facilities in Flanders where it was founded by the Flemish government in partnership with local industry. The company plans to replicate a similar approach to waste management here, Mr Ahern added. Indaver’s project and commercial director, Jackie Keaney, said the Ringaskiddy project was in line with both EU and Irish objectives to maximise the recovery of energy from residual waste and generating renewable energy from biomass in the waste. Installing a combined heat and power plant would contribute to Ireland meeting renewable heating targets and it would also contribute to security of energy supply goals by generating from a local resource that provides an alternative to fossil fuels, she said. “The Ringaskiddy facility can accept a range of biodegradable wastes that would otherwise be sent to landfill, These include for example, treated residues and refuse derived fuel from mechanical biological treatment, sludges and organic wastes from industry,” she said. Ms Keaney said the proposed incinerator was in line with the National Hazardous Waste Management Plan 2008-2012 which recommends a move towards self sufficiency. “At present, the Ringaskiddy facility is the only waste-to-energy facility in the planning process that can accept the 50,000 tonnes per annum identified by the EPA as requiring thermal treatment in Ireland,” she said. The hearing continues. TWO LANDOWNERS have asked the High Court to quash the Limerick county manager’s rejection of a decision by councillors to rezone for residential and other development some 130 acres of farmland near Adare village. PJ Farrell, a farmer who lives at and owns 90 acres at Ardshanbally and Gortaganniff on the outskirts of Adare, and Barbara Forde, Oulart, Gorey, Wexford, who owns 40 acres in the same area, have brought the proceedings against Limerick County Council. They claim county manager Ned Gleeson acted outside his powers in refusing to accept the rezoning decision as valid. The council claims the rezoning would create a detached suburb from Adare in breach of its policy to protect the historic architectural integrity of the town. In voting for the rezoning on September 29th, councillors argued it was needed to bring in employment and facilities. The court heard Mr Gleeson had obtained legal advice the rezoning was not effective under the 2000 Planning and Development Act. Both landowners claim the local area plan (LAP) for Adare, which does not contain the rezonings, should be set aside. Alternatively, they are seeking an injunction restraining an LAP pending the outcome of proceedings. In submissions made to the LAP process last July, a planning consultant for Mr Farrell argued his lands would be severed from the remainder of his farm by a proposed bypass of the town and the zoning should be for mixed uses including residential. Ms Forde’s consultant sought zoning for low-density serviced residential sites. The county manager recommended the lands remain zoned agricultural on grounds rezoning would be contrary to the Limerick County Development Plan. Eamon Galligan SC, for the landowners, told Mr Justice Brian McGovern that the issues included whether the county manager was entitled to take the view the rezoning resolution was invalid. The council claims councillors failed to identify the variations they wanted to make in a sufficiently precise manner to constitute an effective LAP modification. It claims councillors failed to state any reasons which might justify the rezoning in the context of the advice of planning experts. MINISTER FOR the Environment John Gormley’s drive towards zero-carbon housing “will set us all running in the wrong direction and sentence generations to live with the consequences”, a leading property developer has warned. Michael Cosgrave, a director of the Cosgrave Group, told the National Housing Conference in Sligo yesterday that the current strategy was based on using “untested new technologies”. He was strongly opposed to new building regulations currently being drafted because they would mean that “every new home must become an energy producer” – principally through using solar panels on the roof to provide hot water or electricity. Mr Cosgrave said it would be impractical to apply the new regulations to apartment buildings as there would not be enough roof space to accommodate all the solar panels required – and there were more practical ways to reduce carbon emissions. He cited the example of Lansdowne Gate, a Cosgrave Group scheme of 280 apartments in Drimnagh, Dublin, which had been designed to maximise solar gain, with high levels of insulation, heat recovery ventilation and a district heating system. This system, “which only takes up the space of three parked cars”, was largely responsible for an annual saving of 72,000kg of CO2 and cut the heating bills for each apartment by €200 per year, achieving 98 per cent energy efficiency. Mr Cosgrave said every occupier had individual control over the amount of heat they used. But although the overall scheme had achieved a relatively high B1 building energy rating (BER), “if it was constructed today, it would be non-compliant”. He said it was essential to change the BER rating system to cover entire apartment buildings, rather than just individual homes. According to the developer, “we’re missing big opportunities [to reduce Ireland’s carbon emissions] while chasing little ones”. In his view, district heating fuelled by combined heat and power (CHP) plants should be much more widely used. He cited the failure to combine district heating for Dublin’s Docklands with the 1999 refitting the ESB’s Poolbeg power station to run on gas and the new Aghada gas-fired power station in Cork Harbour, which would soon be “heating fish instead of homes”. 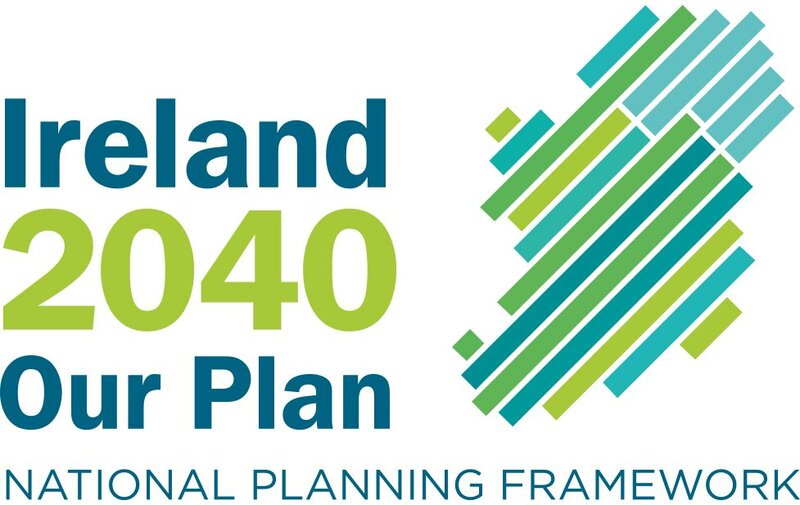 THE PROPOSED National Assets Management Agency (Nama) needs to be part of a different future for Irish planning, compared to the developer-led approach of the the boom years, according to John O’Connor, chairman of An Bord Pleanála. In an outspoken address to the National Housing Conference in Sligo yesterday, he said Nama needed to be “more than a financial exercise” if it was to maximise benefits to the public, and this should include providing sites for schools, enterprise and amenities. Mr O’Connor said the mooted property tax offered an opportunity to begin tackling the long-standing issue of the value of development land. The absence of such a tax had contributed to the bubble and militated against sustainable planning. “Land value tax . . . would drive sustainable development, promote logical behaviour and stabilise the market,” he said. It would also reduce pressure on local authorities to grant planning permission to generate revenue for themselves. He urged local authorities to be pro-active in giving concessions on development levies and making more use of compulsory purchase powers to promote good developments, even at a small-scale, in the right locations such as town centres. During the boom years, Mr O’Connor complained that councillors and local authority managers had succumbed to vested interests and the “any development is good development” syndrome. “Developers and vested interests had undue influence on plan-making [and] little regard to statutory development plans in buying land and designing schemes,” Mr O’Connor said. Banks had also ignored planning parameters in lending to developers. Local authorities had often failed to vindicate their own development plans or sent the wrong signals to developers. Land values were “subverted” and many bad planning decisions had to be overturned or amended by An Bord Pleanála on appeal. He said the current recession was a time to reflect on lessons from the recent past, giving architects, planners and developers an opportunity to start laying the groundwork for a resurgence in the housing market – after it eventually stabilised. Seán Ó Laoire, president of the Royal Institute of the Architects of Ireland – which jointly organised the conference with the Department of the Environment, said one of the tasks we faced was to “clean up the mess” left by the boom. The current recession meant “we now have a chance to ameliorate, remediate and recover”, he told some 200 participants. He said “this time of crisis” should be used to set out a vision for the renewal and well-being of Irish society . . . “to openly interrogate our mistakes and system failures [and] articulate the economic and social dividends of good governance, planning and design”. It was a cliche for politicians to talk about developing a smart economy when they didn’t have “a skeleton to put flesh on”. Instead, Ireland should focus on becoming a smart society, based on being collectively rather than merely individually creative. "Incineration had been the Government’s preferred policy for waste disposal. It was considered cheap and easy and quick. In terms of policy making that ticks a lot of boxes, even if it causes problems and rides roughshod over the wishes of a community. "Incineration is no longer a preferred disposal method. Mechanical and biological treatment have become the preferred options and the Government has also initiated a review of best practice." However, Indaver pointed out that the leader of Mr Boyle’s party, Environment Minister John Gormley, said as late as October 2007 that Ireland requires "no more than two incinerators" to deal with waste that cannot be recycled or processed and it would need to incinerate 400,000 tonnes of waste a year by 2016. Munster MEP Kathy Sinnott said Cork Harbour, where the incinerator would be located and where the National Maritime College is located, had the potential to be a "thriving, prosperous, integrated harbour, with research and development integrating transport, tourism, leisure activities like bathing and water sports, and all the other businesses that thrive in a busy setting. "In creating this economy The National Maritime College is the critical key. If it is allowed to expand and develop, it has the potential for cutting edge research and a leading international university," she said. "An incinerator on the doorstep of the college is not appropriate to the potential development of the site. The Ringaskiddy/Cork Harbour site is the wrong site and to proceed with this site will rob Munster, Ireland and Europe of a valuable and irreplaceable maritime asset and thousands of sustainable jobs." On the second day of what is likely to be a three-week An Bord Pleanála hearing, the Belgian incineration company will say its project planned for Ringaskiddy has the potential to get deal with the "environmental and financial headache" the Irish Steel facility has left on Haulbowline Island. "We therefore come to this hearing with trepidation," he said. "Ireland’s main competitors for foreign direct investment, Singapore, Puerto Rico and Switzerland all have integrated waste management plans that work. For example in 2005 of the municipal waste generated in Singapore, 5% went to landfill, 46% was converted to energy and 49% was recycled. That year Ireland sent 65% to landfill, 0% was converted into energy and 35% was recycled. AN ORAL hearing by An Bord Pleanála into plans by Indaver Ireland for a €150 million twin incinerator in Ringaskiddy opened yesterday with Ireland South MEP Kathy Sinnott and Green Party Senator Dan Boyle both expressing their opposition to the proposal. Indaver Ireland has applied under the Planning and Development (Strategic Infrastructure) Act 2006 for a hazardous industrial waste incinerator and a municipal waste incinerator, each capable of taking 100,000 tonnes a year, at the 12-hectare Ringaskiddy site. According to Indaver’s planning application, the plant will incorporate a four-storey process building, an 85m flue stack, a turbine hall, an aerocondenser structure, a sampling laboratory and a transfer station and other units at the site. Yesterday, Ms Sinnott said that locating the incinerator in the Cork harbour area was contrary to EU maritime policy, which envisages developing sustainable prosperous harbours that integrate fishing, transport, and other water-based activities. Cork County Council has formulated a Cork harbour development plan and the EU has designated parts of the harbour as special areas of conservation, while there are also proposals to have the entire harbour area declared a Unesco world heritage site. Ms Sinnott pointed out that Ringaskiddy is home to the National Maritime College, which has the potential to create a thriving sustainable economy in the harbour area through becoming a leading international maritime university. Mr Boyle argued that incineration had been a preferred waste management option by government at the time of the last oral hearing into the proposal in 2003 but that had now changed. He said the Department of the Environment had made submissions to An Bord Pleanála opposing the proposal, while he said this change had been acknowledged by the board in its inspector’s report on an incinerator planned for Ringsend in Dublin. Mr Boyle also noted the decision by An Bord Pleanála to refuse permission for another incinerator at Rathcoole in Co Dublin, as well as its refusal to grant planning permission to the port of Cork for a large-scale development in Ringaskiddy. This proposal was rejected by An Bord Pleanála’s inspector in his report primarily because of the inadequacy of the infrastructure serving Ringaskiddy. That infrastructural deficit was unlikely to be addressed in the near future, said Mr Boyle. He said the logic of all these changes was that the opposition to the Indaver plan mounted by both individuals and groups since May 2000 should be reflected, not only by inspector Öznur Yücel-Finn in her report, but also by the ultimate decision of the board of An Bord Pleanála. Yesterday’s hearing heard from Dr Michael Gillen of PharmaChemical Ireland, on behalf of Indaver Ireland, who argued that the cost of shipping waste abroad was adding to the operating costs of the pharmaceutical industry. Dr Gillen said the lack of an integrated waste infrastructure was deterring new investment in Ireland, while Ireland’s main competitors for foreign direct investment – Singapore, Puerto Rico and Switzerland – all had integrated waste management plans. Dr Gillen said PharmaChemical Ireland had no policy as to where a waste-to-energy plant or incinerator should be located. Indaver Ireland managing director John Ahern told the second day of the An Bord Pleanála hearing into the proposed incinerator that the facility offered not just the opportunity to deal with the region's growing municipal and industrial waste but also contaminated material from Haulbowline. "Haulbowline Island has contaminated soils and sludges ... our facility offers a solution. With Indaver up and running in the area, this problem can be resolved - safely, efficiently and at an affordable cost, thus ending what has been a prolonged hangover for the locality," he said. Mr Ahern said that as Ireland's waste mountain continues to grow, the disposal options for treating this waste are narrowing and Cork, like every region in Europe, must reduce its dependence on landfill or face millions of euro in punitive fines. Meanwhile Cork and Ireland need security of energy supplies and while many options are available, the most obvious is waste-to-energy which is far more beneficial economically than either burying waste in landfill or exporting it for treatment, he said. "For example, hazardous waste from the Cork region supplies the base load energy source for Hamburg's extensive district heating system. This effectively subsidises hot water and heating for the residents and industries of Hamburg," he said. Mr Ahern said that Indaver has over 20 years experience operating waste-to-energy facilities in Flanders where it was founded by the Flemish government in partnership with local industry and the company plans to replicate a similar approach to waste management here. Indaver Ireland project and commercial director Jackie Keaney said the Ringaskiddy project was in line with both EU and Irish objectives to maximise the recovery of energy from residual waste and generating renewable energy from biomass in the waste. Installing a combined heat and power plant will also contribute to Ireland meeting renewable heating targets and it will also contribute to security of energy supply goals by generating from a local resource that provides an alternative to fossil fuels, she said. Ms Keaney pointed out the proposed incinerator is line with National Hazardous Waste Management Plan 2008-2012 which recommends a move towards self sufficiency and notes that dedicated incineration provides flexibility in the management of residual hazardous waste. The plan determines that if its preferred strategy of dealing with waste, including prevention, recycling and a waste-to-energy facility is achieved, then a minimum of 50,000 tonnes of hazardous waste will need thermal treatment in a waste-to-energy facility in Ireland by 2016. "At present, the Ringaskiddy facility is the only waste-to-energy facility in the planning process that can accept the 50,000 tonnes per annum identified by the EPA as requiring thermal treatment in Ireland," she said. ARCHITECT JAMES Pike, who has been in practice for more than 40 years, was presented last night with Ireland’s premier housing design award for a mixed-use development in Dublin’s Docklands. The Royal Institute of the Architects of Ireland Silver Medal was awarded to O’Mahony Pike Architects for Hanover Quay, described as “a model for integrated, high-density urban regeneration”. Commissioned by Dublin Docklands Development Authority, the scheme occupies a former gasworks site located between Hanover Quay on the Grand Canal Docks and Sir John Rogerson’s Quay on the Liffey. It combined retail and commercial uses with 292 new homes, including family-orientated houses and apartments. Some 20 per cent of the residential space is social and affordable housing. AVERAGE TEMPERATURES in Ireland will rise by between 1.4 degrees and 1.8 degrees by 2050, according to a new report on climate change impact published by the Environmental Protection Agency (EPA). The research also indicates that summer and autumn will warm faster than winter or spring, with the midlands and east warming more than coastal areas. Winter rainfall is also expected to increase by 10 per cent within 40 years with converse reductions of summer rainfall. The decrease in summer precipitation could be between 12 and 17 per cent. The report, Climate Change in Ireland: Refining the Impacts for Ireland, suggests that we need to plan for these changes, which are already occurring, but which will be clearly evident within four decades. The lead author of this report, Prof John Sweeney from NUI Maynooth said that Ireland would experience changes in extremes at both ends of the spectrum. There would be more rain and more intense rainfall at one end and then heat waves and droughts at the other. He did qualify the projections. The report looks at discrete changes that are expected in different regions of the country, with the largest winter rainfall increases predicted for the midlands. “By 2050, reductions in summer rainfall of between 20 and 28 per cent are projected for the southern and eastern coasts, increasing to between 30 and 40 per cent by 2080,” it says. The new projections are in line with earlier reports provided by NUI, Maynooth and Met Éireann. However, these new projections are based on outputs from a wide range of global climate models, thereby increasing confidence in the projections. The report states there is an urgent need to adopt appropriate mitigation and adaptation responses to the risks posed by climate change, notwithstanding the challenges of recent economic events. Detailed studies and research of impacts also highlighted the implications for water resources and also warned about an increase in flood risk, especially in areas that are vulnerable to flooding. Case studies were presented for a number of the rivers including the Suir, Blackwater (Co Cork), and Barrow. Among the serious findings was a projection that the return period of the “10 year” flood would reduce to a three-year event on most catchments by 2050. “The main challenges to Irish agriculture will come from wetter winter and drier summer soils. The impacts will not be uniform across the country. Regional specific adaptation strategies will be required,” state the authors. It also identifies the most vulnerable habitats as sand dunes, lowland grasslands, mountainous heath, raised bogs, and some fens, turloughs (winter lakes) and upland lakes. The threat posed to Irish peatlands is also emphasised. “Increased decomposition of Irish peatlands will be facilitated mainly by cracking during drier summers. Compositional changes within the peatlands will be associated with further deterioration,” it says. The research concluded that despite the uncertainty inherent in the analysis, there is an urgent need to adopt appropriate mitigation and adaptation responses to the risks posed by climate change, notwithstanding the challenges of recent economic events. I received an email today asking me if there is a difference between a restaurant and a takeaway, i.e. if someone writes "takeaway restaurant" or "restaurant/takeaway" on a site notice are they describing the same thing? Or should someone have to apply for one or the other? The Collins Dictionary (2002) defines a "takeaway" as "a shop or restaurant that sells takeaway food". "Takeaway" is "food sold for consumption away from the premises", i.e. it is the takeaway food which is the "takeaway". Takeaway as a place is actually a British, Irish, Australian, and New Zealand colloquialism for a restaurant. Technically, the premises is a restaurant. It is, as my dictionary states: "a place where meals are sold to the public". The point here is that if someone wants to write "takeaway restaurant" on a site notice I - personally - do not see a problem with this. However, the reason why planners emphasise a difference is that most development plans and local area plans differentiate between a takeaway and a restaurant on the basis that one sells hot food off the premises and the other does not. But even this is problematic as a many "restaurants" serve takeaway food and many high end restaurants sell food for consumption off the premises if requested to do so. THE Department of the Environment is set to raise several new concerns about the impact of two controversial incinerators on legally protected wildlife zones in Cork Harbour. In a hard-hitting submission to a Bord Pleanála oral hearing, which gets under way today, the department will say it is not satisfied with the assessment of the impact of emissions and effluent discharges from Indaver’s proposed developments on the protected areas. And it has also asked for further information on potential emissions in the event of an accident or a catastrophic failure of the incinerator’s combustion and air pollution control systems. The submission, which has been seen by the Irish Examiner, says a more comprehensive assessment of the project is recommended. It should take into account European Commission guidance on the protection of certain habitats, as well as the specific effects of effluent discharges and emissions from the proposed development on Cork Harbour and its protected areas, the department said. These concerns were not raised during the 2003 oral hearing into a previous application by Indaver to build a single toxic waste incinerator on the same site. The new departmental submission could prove hugely significant. Indaver Ireland has applied to Bord Pleanála, under the Strategic Infrastructure Act, for 10-year planning permission for two incinerators — one for hazardous waste and one for municipal waste — on a 12-hectare site in Ringaskiddy. The €150m project includes two waste-to-energy facilities, plus a waste transfer station. The industrial WTE facility will burn a maximum of 100,000 tonnes of solid and liquid, hazardous and non-hazardous wastes such as contaminated packaging, products, and solvents or liquids from the pharmaceutical and chemical industry every year. The municipal WTE facility will treat a maximum of 140,000 tonnes of residual household and commercial waste every year. Hundreds of submissions have been made by members of the public opposed to the project. The submission from the Department of the Environment points out that the proposed incinerators will be located within 1km of legally-protected zones of Cork Harbour, and within 10km of dozens of designated and proposed protected sites, which could be affected by emissions. Cllr Dominick Donnelly said local campaigners have been raising these concerns for years. "We are fairly confident of winning our case this time," the Green Party councillor said. "The last time, the only reason we lost was because of Government policy. The thinking now is very, very different." However, Indaver Ireland said it believes incineration is part of the solution to key environmental, energy and economic challenges faced in the Cork region. "Facts, not hearsay should determine the outcome of its application," managing director John Ahern said. "We believe that the facts we will present demonstrate a compelling case in favour of granting approval for our application." A decision is expected in early June. THE OECD, the Organisation for Economic Co-Operation and Development, is to host talks in Dublin today to try to resolve issues relating to the Corrib gas dispute. The Corrib gas developers, led by Shell EP Ireland and Mayo community group Pobal Chill Chomáin, including two members of the Rossport five, are to participate in separate discussions with the OECD Dutch and Irish national contact points. The main aim of the meeting is to discuss a complaint by Pobal Chill Chomáin that the Corrib gas project violates OECD guidelines for multinational companies. The peace and justice group Afri and a French counterpart non-governmental organisation, Sherpa, facilitated the lodging of the complaint last year, which was deemed by the OECD as “admissible”. Planned talks by the OECD’s Dutch and Irish representatives were deferred while direct discussions were taking place between Shell and two community groups. These talks were facilitated by Minister for Communications, Energy and Natural Resources Eamon Ryan and Minister for Community, Rural and Gaeltacht Affairs Éamon Ó Cuív. They collapsed earlier this month. In related developments, four Mayo groups and Afri have called for an investigation into the alleged assault last week on Rossport farmer Willie Corduff. Pobal Chill Chomáin and Pobal Le Chéile, Rossport Solidarity Camp and Shell to Sea (Mayo) jointly called on Minister for Justice Dermot Ahern to facilitate an “internationally supervised investigation” into the incident. Heritage group An Taisce has lodged a complaint with Mayo County Council, claiming the work requires planning permission. The four Mayo groups described the assault on Mr Corduff as “sinister” and said the community had “now lost total faith in the ability of the Garda Síochána to discharge their duties”. Mr Corduff had been protesting under a truck at the Corrib gas landfall site at Glengad on Wednesday and early Thursday last and was then taken to hospital after an alleged assault by Shell security. Gardaí have said Mr Corduff was “removed by security” and was taken to hospital as he was “feeling unwell”. Mr Corduff, who has been released from hospital, said he was very badly bruised. Gardaí say they are investigating an “incursion” by “armed and masked” men who caused damage and intimidation to Shell security staff on the same night. They say they will investigate any complaint made by any other party. Afri described Mr Corduff as a “man of honour and integrity” who had won the international Goldman environmental award two years ago. “The situation is now critical, but it appears that only death or serious injury will move the authorities to action,” Afri said. Former UN assistant secretary general Denis Halliday said he wished to “applaud the courage and commitment to non-violent resistance” shown by Mr Corduff. He added that “sadly”, the situation in Mayo “raised doubts about the ability and commitment of the Government to find a solution that best serves the interests of all Irish people”. Shell EP Ireland has not responded to queries on these issues. Mayo County Council had deemed a road constructed by Corrib gas developers at Glengad to be exempted, but An Bord Pleanála had subsequently ordered the developers to dismantle the road or apply for planning permission. Shell applied for retention which was granted in November 2007. AN ORAL hearing by An Bord Pleanála into an application by Indaver Ireland to build a €150 million twin incinerator at Ringaskiddy in Cork harbour is due to open in Cork today. The hearing is expected to run for a number of weeks. The application for both a hazardous industrial waste incinerator and a municipal waste incinerator, each capable of taking 100,000 tonnes per annum, at the Ringaskiddy site was made by Indaver under the Planning and Development (Strategic Infrastructure) Act 2006. The Indaver proposal, first mooted eight years ago, has generated much controversy in the Cork harbour area, and a number of groups have come together under the banner of Cork Harbour Alliance for a Safe Environment to oppose the plan. Indaver Ireland had already applied in November 2001 to Cork County Council for planning permission for a 100,000 tonnes hazardous industrial waste incinerator for the Ringaskiddy site only for the council to refuse planning permission in May 2003. Indaver Ireland appealed the council’s refusal to An Bord Pleanála and following an oral hearing in October 2003, the planning body went against the recommendation of its inspector and granted planning permission for the facility in January 2004. Meanwhile, Indaver Ireland applied to the Environmental Protection Agency for licences for both a 100,000 tonnes hazardous industrial waste incinerator and a 100,000 tonnes municipal waste incinerator at the 12-hectare Ringaskiddy site. Following an oral hearing in February 2005, the EPA decided in November 2005 to grant licences to Indaver Ireland for both incinerators even though Indaver had only at that stage applied for and obtained planning permission for the hazardous industrial waste incinerator. However, that original five-year permission expired last January, and Indaver Ireland was obliged to resubmit for planning permission. This time the company availed of the strategic infrastructure legislation to make its application. An Bord Pleanála has received 284 submissions on the Indaver proposal. These include submissions from the Department of the Environment, Cork Cork County Council and Cork City Council as well as from the surrounding communities. The hearing is being held at Cork International Airport Hotel. A EUROPEAN renewable energy “supergrid” would provide sustainable jobs, clean power and a much needed economic stimulus, Green Party leader John Gormley has told his party’s Northern annual conference. Speaking in Belfast at the weekend, Mr Gormley advocated an interconnected electricity system across western Europe and north Africa, predicting that the North could become a world leader in renewable energy. Wind power from Denmark, tidal power from Antrim, solar power from Spain and wave power from Mayo could help power a cleaner society and economy, he said. Such interconnection was economically viable, he added. Addressing the economic downturn, Mr Gormley referred to former US president FD Roosevelt’s recovery package 60 years ago and called for a “green new deal”. The neoliberal, light regulation economic model was shown not to be sustainable, he argued. His speech focused on the need for greater North-South integration of energy and pollution control systems. Describing such an arrangements as a “win-win for us”, Mr Gormley said: “The number of jobs that could be created in Northern Ireland and the Republic to upgrade the all-island electricity grid so it’s ready for renewable connection could run into thousands,” he said. The North was “uniquely placed” with its abundant renewable energy resources “and with political, business, union and environmental leadership and partnership become a ‘green economy’ leader”. Green Assembly member Brian Wilson told the conference the Executive’s progress on environmental issues was “dismal”. But he singled out its record on education for particular criticism. “The greatest indictment of the Executive is its failure to get agreement [on] replacing the 11-plus,” he said. The conference heard vociferous denouncements of the North’s Minister for the Environment Sammy Wilson over his views on the causes of climate change and his decision in particular to block a public information TV campaign “Act on CO2”. Brian Wilson said the DUP was willing to go very far to protect the Minister, “even though he is destroying Northern Ireland’s international reputation”. Ireland needs to get ready for longer heat waves and periods of drought, the Environmental Protection Agency (EPA) warned today. Average temperatures in Ireland will rise by up to 1.8 degrees Celsius by 2050, according to a report published by the EPA today. The report predicts that summer and autumn will warm up faster than winter and spring, with the midlands and east warming more than coastal areas. The report Climate Change in Ireland: Refining the Impacts for Ireland , also predicts that winter rainfall will increase by 10 per cent, while reductions in summer rainfall of 12 to 17 per cent are projected by 2050. The largest winter rainfall increases are expected to take place in the midlands and by 2050, reductions in summer rainfall of between 20 and 28 per cent are projected for the southern and eastern coasts. Longer heat waves and drought may also occur which will be especially important for eastern and southern parts of Ireland, the report states. Laura Burke of the EPA said further research was required to “reduce scientific uncertainties and increase confidence in projections for decisions on investment in infrastructure and development”. The report concludes that there is an urgent need to adopt appropriate mitigation and adaptation responses to the risks posed by climate change, notwithstanding the challenges of recent economic events. An Oireachtas committee will formally ask the Comptroller & Auditor General when it meets on Tuesday to investigate the dealings of the Dublin Docklands Development Authority. The cross-party committee on the environment, chaired by Fine Gael's Phil Hogan, wants the C&AG, John Buckley, to examine the DDDA's activities in the past four years, with particular reference to its two most controversial deals. Hogan has also accused the DDDA's chief executive, Paul Maloney, of "misleading" his committee when he appeared before it in February and seemed to promise there would be no cuts in the authority's social, cultural and education budget. It later emerged a planned re­duction in the budget had been decided last December. One of the deals the committee will refer to the C&AG for investigation is the €412m purchase in 2006 of the 24-acre site of the old Irish Glass Bottle factory in Poolbeg. The DDDA is a 26% partner at a cost of €32.8m in the Becbay consortium planning to develop it, along with builder Bernard McNamara and financier Derek Quinlan. Financing for its acquisition at a price more than €40m above its uppermost valuation at the time was provided by Anglo Irish Bank and AIB. In 2007, the DDDA valued its quarter-share of the project at €117m but the entire site was valued this spring at no more than €125m and as little as €90m. The disgraced former chairman of Anglo Irish Bank, Sean FitzPatrick, was a board member of the DDDA and his fellow Anglo director Lar Bradshaw was its chairman when it took the unprecedented decision to become a partner in the project. 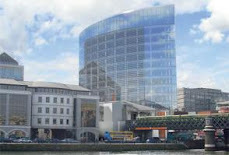 The second deal to be referred to the C&AG is the North Lotts site where developer Liam Carroll's plan, licensed by the DDDA, to build new headquarters for Anglo Irish Bank was scuppered by a successful High Court challenge by developer Sean Dunne. The project had been fast-tracked by the DDDA in July 2007. Developers with housing estates lying empty in Dublin are set for a huge fillip. Trinity College Dublin (TCD) has circulated a requirement for 1,000 student residential units by September 2010, and possibly as many as 3,500 by 2020. The student residences and associated facilities must be close to the university "or near a public transport system facilitating a maximum commute of approximately 30 minutes", according to documents circulated by the university last week. That means areas as far away as Sandyford and Dun Laoghaire in the south of Dublin and Howth in the north could be considered because of the Luas and the Dart. Large parts of the docklands and Poolbeg would also be suitable. "The accommodation may be new purpose-built or existing accommodation, modified if necessary, to satisfy the university's requirements," the documents state. Undeveloped sites will also be considered. "They could possibly get the residences for below build cost," one expert said last week, citing the fall in property values, the number of residential developments lying vacant and some developers' desperate need for working capital. Consultants Bruce Shaw are handling the process for the university and TCD has said the contract for the chosen sites "will include any required design and other services necessary for its procurement and may also include options for full operation and/or financing". A contract notice relating to the need for the student accommodation is expected to be published in the second quarter of this year. A major row has erupted after a county councillor in Clifden, Galway, sought to have the council rezone his land for development, despite severe objections from the county manager. With only weeks to go before he seeks re-election, Fianna Fail councillor Josie Conneely, who is a developer, has been criticised for attempting to have 12 acres of land around the Rock Glen Hotel in Clifden, which he owns, rezoned. One of the main objectors to Mr Conneely's plan is the county coroner Ciaran McLoughlin, in what is being seen locally as a major clash between two of the area's leading figures. The main issue is that Mr Conneely's hotel is on a very narrow minor road and any additional development along there would be "ridiculous and unworkable", according to an objectors' spokesman. "The plan is totally unsuitable for the area. The road is so narrow cars can't pass each other and every time there is a burial at the nearby cemetery there is chaos. This can't work," the spokesman said. Dr McLoughlin declined to comment on the matter but he is known to be willing to fight this all the way. And it is not just the residents who are opposed to the plan. The county manager Martina Moloney recently informed councillors that the proposed Local Area Plan (LAP) already provides for 100 acres of new residential land, which will provide for around 3,000 new Clifden residents. However, any additional developments are severely restricted under the national guidelines for planning. Last week, despite the objections of residents and the county manager, a proposal in favour of the rezoning was carried by eight votes to one. Cllr Seamus Walsh (FF), proposed the motion while Cllr Conneely absented himself from the chamber for the discussion and vote. Defending his decision to propose the rezoning, Mr Walsh told the Sunday Independent: "There are major flaws with the LAP and I am totally in favour of having the road widened to facilitate the development. It is in the interests of the local area to allow this to go forward." Yesterday, Mr Conneely denied anything he was doing was wrong, and said that he strongly disagreed with the county manager's objections. Speaking to the Sunday Independent, he said: "The plan as proposed is flawed. At a time when building is being hammered, I am trying to build a major attraction for the area which would provide as many as 50 jobs." Mr Conneely also attacked Dr McLoughlin and described him and the other objectors as "mere blow-ins". He also accused them of objecting in order to protect their own "cosy" interests. He said residents had ensured his 2006 plans to build a leisure centre and 24 holiday homes failed, and that failure had cost him a lot of money. Developer Bernard McNamara has changed his official registered address from affluent Ailesbury Road in Dublin 4 to an office building on Pembroke Street in Dublin's business district. There has been sustained speculation for almost a year that McNamara has put his Ailesbury Road home on the market. The house comes with complete with cinema, ballroom and underground swimming pool. A number of McNamara's companies have highlighted the severity of the property downturn in their accounts in recent months. The developer owes large sums to several Irish banks and has been in communication with them about his financial position. Reports have circulated among Dublin estate agents that the house on Ailesbury Road had been bought by the daughter of a well-known businessman for about €10m after being sold through estate agent Finnegan Menton. That was denied at the time by McNamara's spokesman James Morrissey of PR agency Fleishman Hillard. Morrissey did not return calls last week to answer queries on McNamara's decision to change his home address as a director. Morrissey and McNamara are listed as directors of a company called Varleigh, which is due in the big business division of the High Court on Monday. Morrissey and Varleigh are seeking to have the Commercial Court hear a case against Ronan McNamee, who founded Cuisine de France. Varleigh owns land and buildings on the Belgard Road in Tallaght which are let to pharmaceutical wholesaler Uniphar, according to mortgage documents lodged with the Companies Office. The mortgage was given by Ulster Bank. Varleigh's accounts for the period ended 31 March 2007 show it had after-tax losses of more than €1.1m and assets worth €59m. THE 2009 Planning Amendment Bill, due to be published shortly, is to make it clear there will be “no scope for wasting public resources on poorly located and excessive zonings”, according to a senior official involved in drafting it. John Martin, principal planning adviser in the Department of the Environment, said yesterday that one of the main aims would be to “achieve more sustainable settlement patterns” – in contrast to the urban sprawl of recent years. Addressing the Irish Planning Institute’s annual conference in Wexford, he said planners should ensure that development plans and local area plans were in place “to underpin recovery in the housing market, whenever that happens”. Planners also needed to respond to the economic crisis by promoting development that created jobs, particularly “knowledge economy” employment, in cities and towns designated as gateways and hubs in the 2002 National Spatial Strategy (NSS). Mr Martin said a review of the NSS had shown “unsustainable settlement patterns” in the commuter catchment areas of gateway towns. But despite a “significant change in circumstances” since 2002, its fundamental policy aims were still valid. Reviews of regional planning guidelines would include an economic analysis of each region as well as guidance on the local economic strategies, he said, adding that the new Planning Bill would strengthen links between local and regional planning. It would also “provide a rational and transparent basis for proposed zonings” of land as well as establishing the principle that any material changes made by councillors after a plan had been on public display “cannot include additional zonings”. The Bill would also take account of last July’s European Court ruling against Ireland in the Derrybrien mudslide case by introducing new rules for environmental impact assessments. This would raise a “major issue” in relation to unauthorised quarries. Mr Martin said a separate Bill would deal with offshore developments such as wind and tidal energy, recognising that such projects had the potential to “make a major contribution to the achievement of national energy and climate change objectives”. Mayor of Clare Madeleine Taylor-Quinn, who is in her 30th year as a councillor, said she and her colleagues were “an absolutely necessary and integral part of the democratic process”, rather than a luxury the country could no longer afford. She pointed out that councillors accounted for just 0.65 per cent of Clare County Council’s budget. “We have a particularly important function in making the county development plan, voicing the desires and aspirations of the community”. Laois county manager Peter Carey challenged planners to engage with other agencies, instead of “operating in a bubble, with a localised mindset”; otherwise, they would not be able to achieve the objectives set out in a county development plan. Successes cited by Mr Carey included the planning of new schools in Portlaoise and the development of an “inland port” on 300-acre site at the M8/M9 interchange, which will include large-scale warehousing and logistics as well as a national train depot. Spending on transport and justice will see the biggest drop, decreasing by 24 per cent and 34 per cent respectively. In 2008, the government spent almost €1 billion on public transport programmes. In 2009, this figure is expected to drop to €628 million. Expenditure on prisons, courthouses and Garda stations under the NDP amounted to €232.8 million in 2008. It is estimated this expenditure will total €153.3 million in 2009. Current expenditure under the NDP is expected to increase in 2009, with increases expected in education, social inclusion and housing programmes. In 2008, the government spent €539.1 million on grants to VEC’s, adult education and student support. In 2009, it is predicted the spending will total €712 million. Current expenditure on housing programmes is set to be €730 million in 2009, up from €564.4 million in 2008. Total national development plan expenditure amounted to more than €25 billion in 2008, while it is estimated that expenditure for 2009 will total nearly €24 billion. THE PROPOSED redevelopment of the Carlton cinema site on Dublin’s O’Connell Street will have a “positive impact” on buildings used during the 1916 Rising, An Bord Pleanála has heard. Gráinne Shaffrey, of Shaffrey Associates Architects, said the “Dublin Central” plan would give 16 Moore Street, “the final headquarters of the rebel leaders”, and surrounding buildings a role in the regeneration of the area. Ms Shaffrey was commissioned by Dublin City Council to carry out the architectural and historical assessment of Number 16 and recommended its inclusion on the record of protected structures. At yesterday’s sitting of the oral hearing on the €1.25 billion mixed-use plan by developers Chartered Land, Ms Shaffrey said it was proposed Number 16 become a “commemorative centre”. She said trying to protect the national monument buildings at 14-17 Moore Street would “involve some change”. Ms Shaffrey said the buildings had previously only “presented themselves publicly” on Moore Street but the proposed redevelopment would give them a “much more three-dimensional role”. David Slattery, the project’s conservation architect, said O’Connell Street was in a “pretty horrendous” state from Henry Street up to Parnell Street. He said he had been surprised at the number of buildings with bouncers on the door, “even at 11 o’clock in the morning”. He was particularly critical of the facade of Dr Quirkey’s Good Time Emporium. Mr Slattery said the redevelopment proposal would not compromise O’Connell Street architecturally but would be “significantly beneficial”. Earlier, Eamon Galligan SC, for the applicant, said the height of the scheme had been “radically altered” from 13 to eight storeys. It would be 1.6m lower than the top of Clerys department store, according to Dublin Central Architects, the partnership which designed the scheme. MINISTER FOR Communications Eamon Ryan has strongly defended plans to build Metro North, describing the proposed €5 billion project as a key element of Dublin’s economic future. Mr Ryan told the annual conference of the Irish Planning Institute (IPI) it would be “blind stupidity” not to recognise that the development of a metro and the proposed Dart underground link between Heuston and Docklands were essential for Dublin to compete in the world economy. Equally, failing to build an electricity grid to cater for a huge increase in wind energy along the western seaboard would render Ireland insecure. He said it wasn’t technically feasible to put this underground, so “by and large, it will be overhead power lines”. IPI president Andrew Hind said reform of the “almost crazily fragmented and confused” local government system in Ireland was needed to make the country more competitive. He told the depleted ranks of planners attending the conference – down by 50 per cent since the peak of the boom – that Ireland needed a planning system that stopped bad development but also placed fewer impediments in the way of good development. Many people saw the current system as “nothing but unnecessary red tape” because it sometimes put at least as many obstacles in the way of development that should be encouraged as it placed in the path of the development that should be refused. “There will be significant benefits both to users of the planning system and to the rebuilding of our economy if we can remove impediments to sustainable development without compromising our ability to resist development that is inappropriate or unsustainable,” he said. Referring to the fact that 88 of the 114 local authorities exercise planning functions, Mr Hind said this was “too many” for a population of just over four million. As a result, users of the system found it “almost crazily fragmented and confused”. “What signal is this giving to those who want to invest in the development of our country,” he asked, saying this needed to be tackled “if we are to present a coherent front” to investors creating sustainable employment and economic growth. He suggested that the process of making local area plans should be improved. If this was done, “then it might be possible to allow planning applications that were consistent with them to be approved without the risk of appeal by a third party”. In order to achieve this, there would need to be an independent assessment by An Bord Pleanála of objections made by the public as well as elements of any plan changed by elected members against official advice, on land rezoning, for example. Referring to the fact that processing of even an average planning application is subsidised by €1,500, Mr Hind said the cost should be met by the charges paid by applicants, “thereby releasing taxpayers’ money for purposes that are more urgent”. Dealing with transport, Mr Hind said “we seem to think we get better value for money from lavish road schemes directed almost exclusively at the private car” than by investing in low-cost projects to improve accessibility for those walking or cycling to work. DUBLIN City councillors have voted to ban cars from the capital's main thoroughfare but only during morning and evening rush hours. Instead of imposing a 24-hour seven-day a week ban as originally proposed, members of the Transport Committee instead decided to scale back the ban and review it six months after it begins operating. The move came because of concerns from city traders that up to 2,500 jobs could be lost in the city centre if private cars were banned from using Dame Street, College Green, Westmoreland Street and College Street. Members of the committee voted unanimously to impose the ban which will operate Monday to Friday from 7am to 10pm and 4pm to 7pm. But the full council has yet to vote on the proposal, meaning the first option -- a complete ban at all times -- could yet be imposed. The full council will meet in May where the issue will be debated, but it is expected the ban will be imposed and implemented in July. Council transport planners said that less than 6pc of cars entering the city boundary would be affected in the morning period because few travel along the affected route. But introducing the measure would lead to improved journey times for Dublin Bus services -- 60pc of which pass through the affected area -- and which cost the company €3m because of congestion. In a worst case scenario there would be a "low level" of impact on retail outlets, Brendan O'Brien said, adding that the move to introduce the ban at peak periods would benefit 45pc of bus services. The move would be reviewed when other public transport measures -- including construction of two bridges across the River Liffey, implementation of real-time information on bus times and integrated ticketing -- were delivered. Fine Gael's Paddy McCartan said the move was being "rushed", and cautioned against any proposal which would reduce the number of shoppers in the city. But Cllr Deirdre Heney (FF) said if the move wasn't done by the council, it would be imposed upon it. "We must improve public transport," she said. "Buses are hugely cost-effective and we have to facilitate them. I think if we don't do it it will be forced upon us in the form of a congestion charge. I believe we should get on with it." The Dail Transport Committee will today hear submissions on the issue. A €100 MILLION shopping centre which had the backing of several thousand people in the north Cork area has been refused. The proposed Shipton Group complex for Fermoy would have created hundred of jobs, it was claimed. Anger is mounting locally over the An Bord Pleanála decision to turn down the scheme. The developers had, in recent years, created the highly successful Blackpool Shopping Centre in Cork city. Shipton Group had sought permission to build a massive retail, office and apartment complex on the site of the former mart in Fermoy. An Bord Pleanála refused the largest project ever earmarked for the town, believing it would be detrimental to the core town centre trading. The board said, if approved, the development would result in a huge increase in Fermoy’s retail capacity which would be out of scale with other towns of a similar size. The board also said the height, scale and layout of the project would be "visually incongruous" and would adversely affect the adjoining architectural conservation areas and the setting of protected structures at Lisieux Villas and O’Rahilly Row. In the report published yesterday, it was also pointed out the development was proposed for an area at risk of flooding. Planners stated that the project could actually exacerbate the effects of flooding in an area adjacent to the River Blackwater. The initial planning application was turned down by Fermoy Town Council last year. But such was the local dismay that town mayor Cllr Tadhg O’Donovan helped to raise a petition supporting the development and more than 3,000 people signed it which was submitted to the board when the Shipton Group lodged its appeal. Fermoy town councillor Seamus Coleman said he was bitterly disappointed with the decision. "I don’t accept that Fermoy would have too many retail units if the development was allowed to proceed. This would have created badly-needed new jobs, not just in the town, but in the area as a whole. Fermoy and Mitchelstown have both suffered in recent years from hundreds of job losses," the Sinn Féin councillor said. Mr Coleman said many Fermoy people went shopping in Midleton, Mallow and Mahon Point simply because they didn’t have the variety of outlets available in other towns. Deputy Seán Sherlock also criticised the decision. "This is a crazy decision... There has to be an immediate return to the drawing board on these plans, which must be facilitated in one way or another. Fermoy can’t afford to lose out on this opportunity," the Labour TD said. A spokesman for the Shipton Group said it was surprised and disappointed. PLANS TO build a visitor centre at Doolin Cave in north Clare have run into opposition from An Taisce, the Pol an Ionáin Action Group and the operators of the rival cave attraction, Ailwee Caves. Doolin couple John and Helen Browne opened the cave on the western edge of the Burren to the public three years ago. The highlight of the cave is the 8.3m-tall Pol an Ionáin stalactite. The Brownes say the cave is not viable as a tourism venture without on-site facilities – visitors are brought by bus from Doolin. In response to an application lodged with Clare County Council, the director of Ailwee Caves, Adam Johnson, has urged the council to refuse planning permission for the rival venture. Mr Johnson states that recently, “ . . . visitor numbers to the region have dwindled and there can be no doubt that the further development of Doolin cave in such close proximity to Ailwee Cave will result in an overall loss of business in both consequent job losses and decreased spin-off for other local businesses. In its objection, the organisation representing caving enthusiasts, Speleological Union of Ireland (SUI) said that it “is not opposed to show cave development and indeed welcome the education of the public about caves. “However, we consider Pol an Ionáin is not suitable for development of one unique, irreplaceable feature and raises too many unnecessary threats to it.” A decision is due on the application next month. KERRY COUNTY Council has admitted it is buying material from some quarries which are not in compliance with planning for their operations, and in a small number of cases is purchasing material from operators in the county who have been in serious breach of planning. The quarries and their operators are the subject of warning notices issued by the council’s planning department in recent months, and a small number of the suppliers were the subject of enforcement proceedings. Senior officers said the council would stop purchasing material where serious breaches continued. However, the quarries would be allowed some months’ grace. The admission was made to Independent councillor Brendan Cronin, who asked for details of all unauthorised quarries in Kerry which were the subject of active enforcement proceedings, and details of all quarries and if any of these were supplying materials to the council. Mr Cronin said the fact that the council was purchasing some of its materials from operations not in compliance with planning was not good enough from a public confidence point of view. The director of planning, Michael McMahon, told the councillor in a report there were 20 quarries against whom warning letters had been issued over recent months “regarding various levels of non-compliance” after planning officers visited them to check on planning conditions laid down by the council on registration in 2004. He believed there had been a positive response from most of the 20, but a small number would be the subject of enforcement proceedings. There were also seven quarries unauthorised, and enforcement proceedings were in train against these. Two of these were also supplying the council, according to documentation released to Mr Cronin. “There are people out there at the moment from whom we are purchasing material not in 100 per cent compliance with planning conditions,” Mr McMahon told a council meeting. However, he said the requirement that quarries register with the planning authority was comparatively recent. Quarries had been unregulated since 1964 and had only been brought into the process in 2004. Mr McMahon said planning officers would be revisiting to check on compliance with conditions imposed by the council, and it was reasonable to allow people time to get their houses in order. The council’s head of finance, John O’Connor, told this month’s council meeting that Mr Cronin was “preaching to the converted”. In future where the planning office discovered a serious breach, the council would stop purchasing material from the operator and there would be no period of grace. THE PROPOSED redevelopment of the Carlton cinema site in Dublin city centre would constitute gross overdevelopment and could have an adverse impact on many protected structures, An Bord Pleanála has been told. The appeal hearing on the project heard that the €1.25 billion scheme would be highly obtrusive and could damage the visual amenity of the area. Orlagh Cawley, on behalf of the National Graves Association, said the design of the project marks a stark contrast to the prevailing building heights and densities. Ms Cawley said the plan provides for a potential “irreversible impact” on the architecture of Moore Street and O’Connell Street and could result in the complete removal of part of Dublin’s historical streetscape, Moore Lane and Henry Place. “The impact of the proposed development will constitute gross overdevelopment and over-intensification” she said. The proposed redevelopment of the 5.5 acre site includes a four-storey “park in the sky”, a branch of British department store John Lewis, almost 100 shops, 64 apartments, 17 restaurants, a theatre space and 2,868sq m of offices. The area would include three new public squares, two new streets, and would involve the relocation of two protected structures: the 19th-century O’Connell Hall, and the facade of the former Carlton cinema. Developers Chartered Land say the scheme would make a “positive and powerful contribution to the city”. Damien Cassidy of the National Heritage and Conservation Group said the developers clearly consider the Carlton site to be a brownfield building site devoid of any architectural merit, historic and cultural importance. Mr Cassidy said the inclusion of the national monument on Moore Street would “destroy the authenticity” of the surrender headquarters of the 1916 volunteers. Mr Cassidy said that the development of the nearby Arnotts site meant there would be no shortage of retail space in the area and that there was already an abundance of vacant office space. Among third-party appellants opposed to the scheme were Treasury Holdings, An Taisce and the families of the signatories of the Proclamation of Independence. The hearing continues today.